UW Department of History | Heather Wozniak, Ph.D. 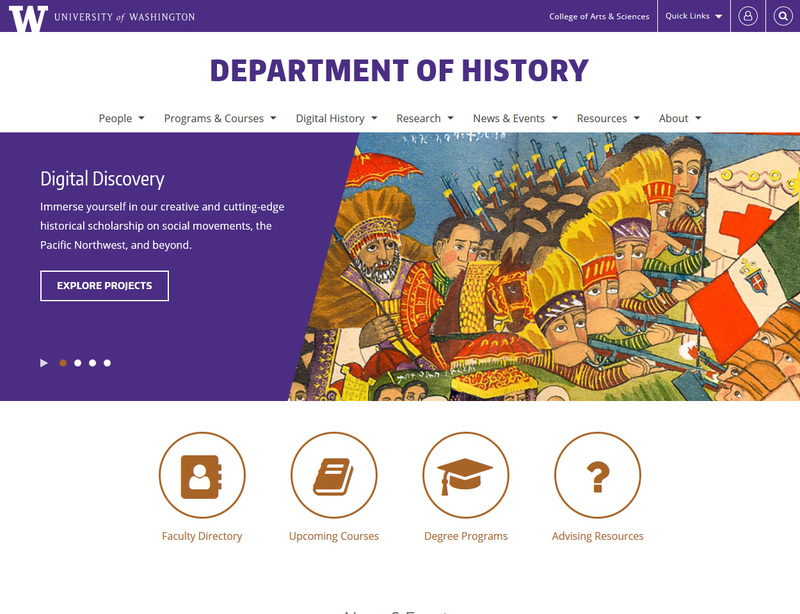 The 30th site to launch in our series of Department Web Framework sites at the University of Washington College of Arts and Sciences. I faciliated the visual design process, creating mockups and guiding the client through selecting images and messaging for the front page. I also provided guidance to the lead developer throughout the project, advised on navigation and information architecture, and ensured standards of quality were met. actively maintained; content maintained by client.